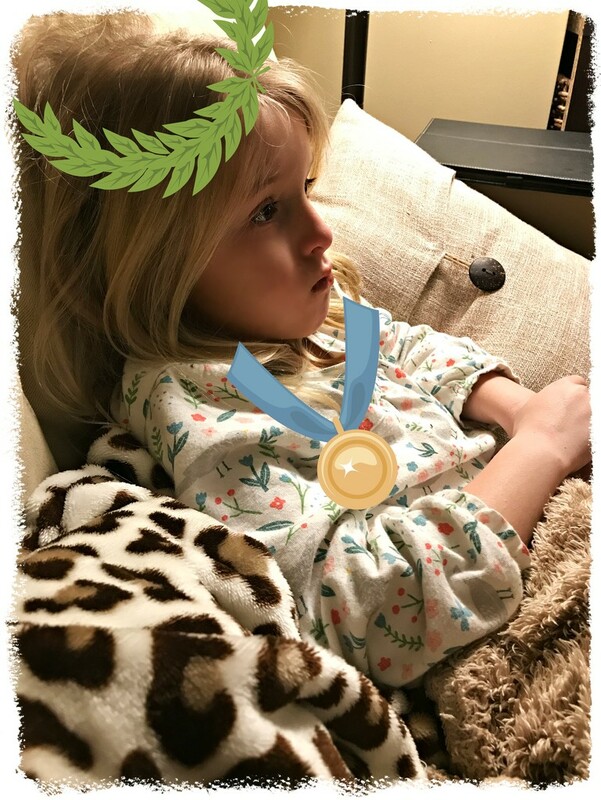 Granddaughter Harper was determined to stay awake for the Olympics Opening Ceremony when she was here for a sleepover on Friday night. She made it until the US athletes entered the stadium. Well done, Harper! She's enjoying it all very much Peggy! Propping her eyelids open practically! So good she is so keen to see her home country parade at the Winter Olympics. Hope you do well, will definitely be better than us....not too good at snow sports! This is precious! I hope all is well! Saw your name...thinking of you! Just dropped in to see how Harper is doing. Lovely to see her growing away there. Alex is doing well also. Another 10 years or so and we might be able to get them together, as planned!